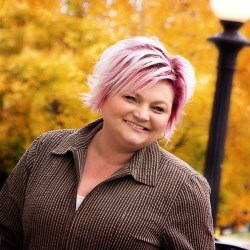 Since 1999 Lori Siders has been providing buyers and sellers with high quality service in the real estate profession. As the licensed broker/owner of Siders Premiere Properties, LLC, Lori has attained a level of expertise and education that has helped her acquire and maintain the respect of not only her clients, but her peers as well. Lori is a member of Indiana Regional MLS (IRMLS), which allows her to stay on top of information on listings in a majority of Indiana Counties, including Wabash, Grant, Miami, Huntington and Kosciusko Counties. She is licensed to show homes in the entire state of Indiana and is a member of the Realtor Association of Central Indiana. Lori currently serves as a Director for the Board of RACI (Realtor Association of Indiana). Lori previously served on the Professional Standards Board, and the Board of Directors for CIRMLS. 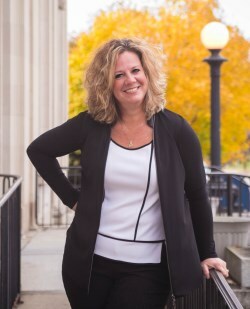 She is a member of Indiana Association of Realtors and the National Association of Realtors. In 2013 Lori was the #1 selling agent in Wabash County according to the Central Indiana Regional MLS. 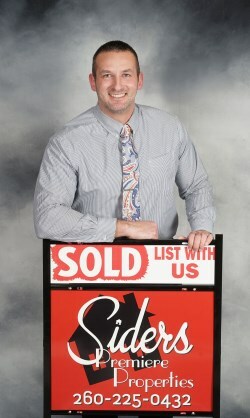 Siders Premiere Properties was the #2 selling office. This was huge for only being in business one and a half years and at the time only one agent. Lori continues to be ranked as one of the top selling agents in Wabash County. Bob is a member of Indiana Regional MLS (IRMLS) and the Realtor Association of Central Indiana. He has recently joined Siders Premiere Properties LLC in Wabash. Bob holds a degree from Indiana University in business management with a minor in information systems. For the last 12 years, Bob has worked in the public sector. Bob is a life‐long resident of Wabash County, where his wife, Tabatha, is a local middle school teacher. They are proud parents of three children. Whether you are buying, selling, or investing, Bob would love the opportunity to meet with you and discuss your goals. Bob believes the greatest asset a real estate broker can have is the ability to listen and accurately assess each client's needs. Working as your partner through each step of the process, he will allow you to feel confident that you have all the information you need to make the right choice. 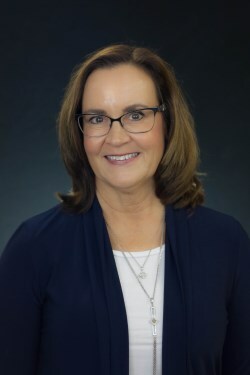 Valerie is a member of the Indiana Regional MLS (IRMLS) and the Regional Association of Indiana (RACI), the Indiana Association of Realtors and the NAR National Association of Realtors. She is a resident of Wabash County and holds a bachelor’s degree in business management from Grace College. She was employed in a management position for 16 years. She feels it is the greatest blessing to be able to help someone find affordable housing, an investment property, land, or a commercial property. She is willing to help you achieve your goals! Lori Siders Managing Broker and Owner of Siders Premiere Properties would like to welcome Brandon Brindle as an Associate Broker to our office. Brandon is a member of the Indiana Regional MLS (IRMLS), Realtor Association of Central Indiana, Indiana Association of Realtors and the National Association of Realtors. Brandon holds a degree from Indiana University in finance and economics. For the last 10 years, Brandon has worked in the private sector. Brandon is originally from Peru, but has been a Wabash resident for the last four years. During his downtime, Brandon loves to go hiking and running with his wife Christina and their dog.